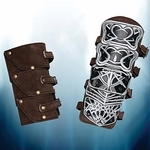 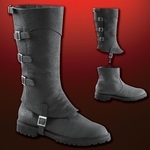 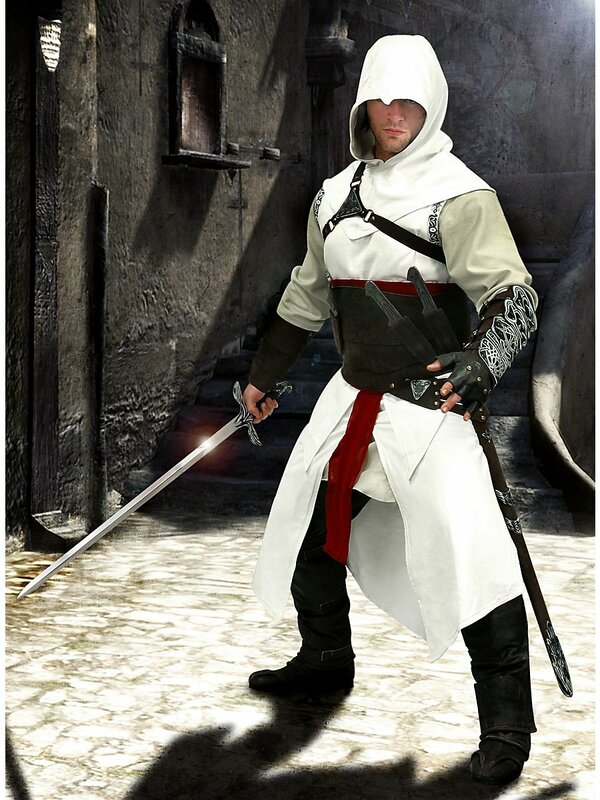 Altair's trademark look is a combination of typical hooded monk's robe and knight's garb. 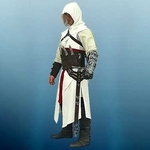 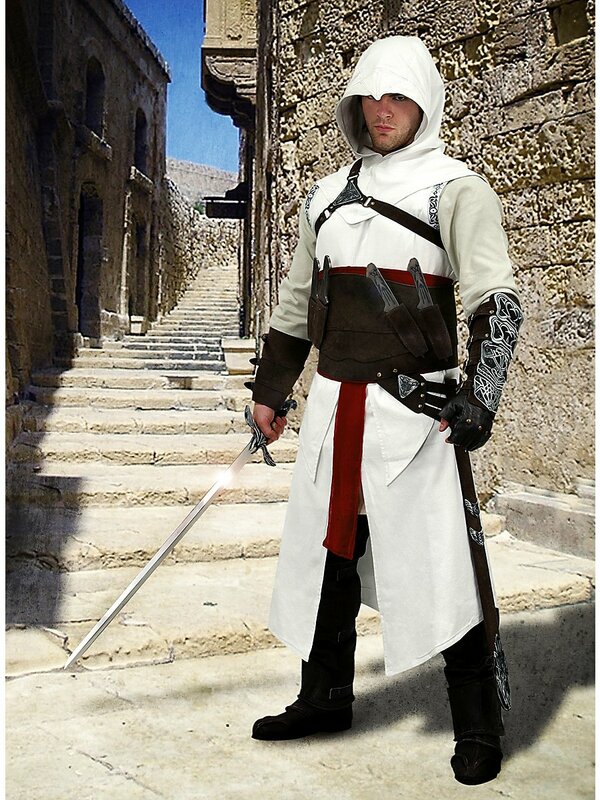 The result: this Assassin's Creed Altair surcoat, for example. 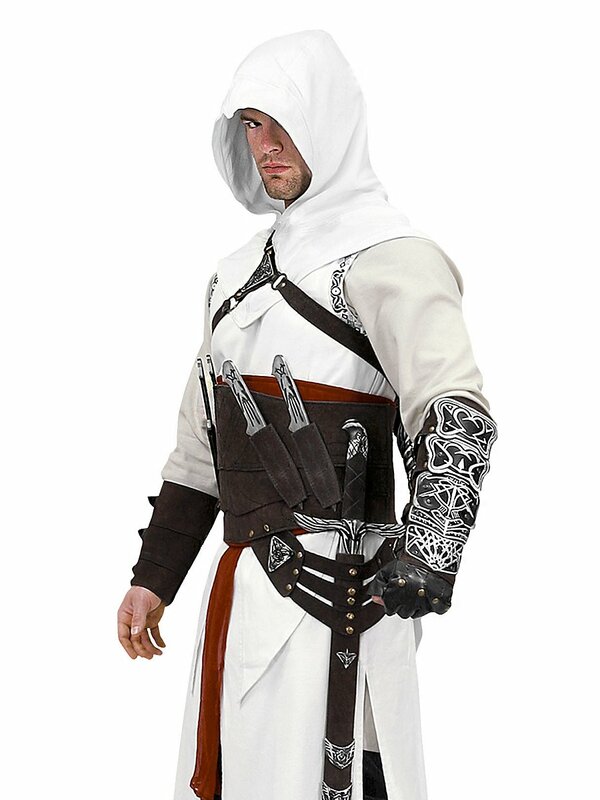 The sleeveless surcoat, bare of all signs of identification as befits an assassin, is calf-length and has slits at the front and sides. 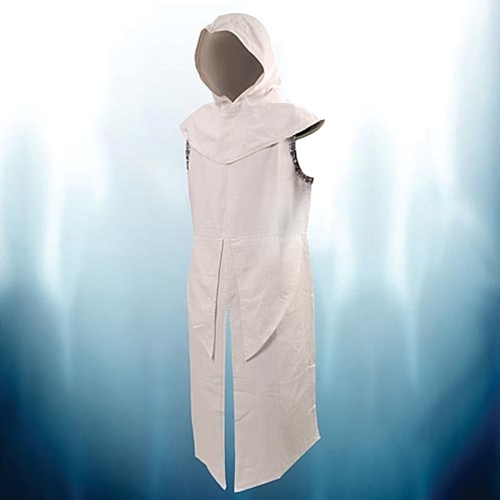 This surcoat is made of pure, white cotton to signify Altair's peaceful, sincere intentions, but the armholes are trimmed with the same lively pattern that decorates one of the vambraces. 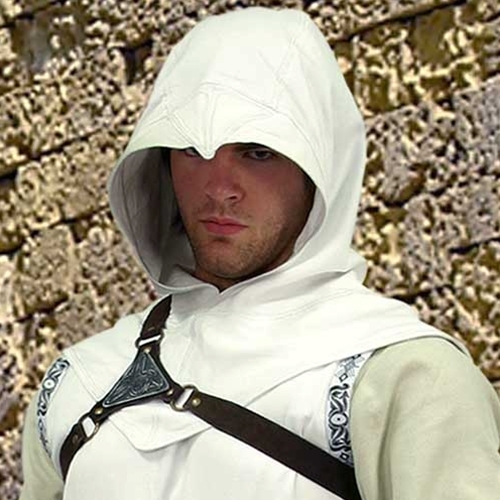 A separate cowl like the one monks wear – closed around the neck and covering the shoulders – comes with the surcoat. 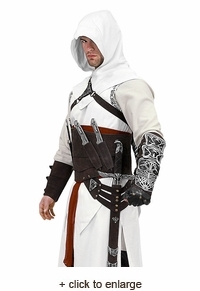 The shining white cowl is very roomy, and makes the outfit look exactly the one Altair wears in the game.